When have my students been logging in? 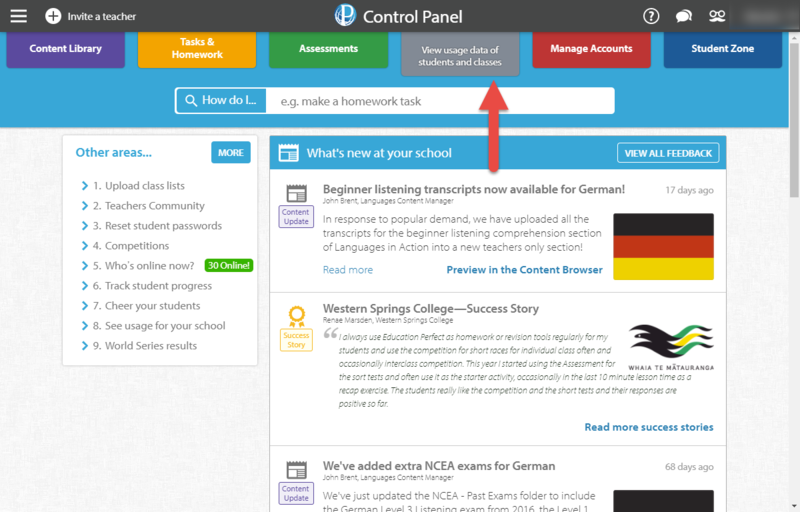 You are able to view how often your students have been logging in and using Education Perfect through your Control Panel. This is helpful to keep track of the usage of the platform at your school. Navigate to the grey Student Usage & Data tab. From here you are able to view the total amount of hours spent online and the amount of times students have logged in. This graph reflects the usage within a certain time frame so that you are able to note when the platform is being used the most. You are able to filter your search results down to specific classes, subjects or time frames.